Umuganda happens on the last Saturday of every month. All Rwandan nationals aged 18 and over undertake their public duty to clean the streets and help others. 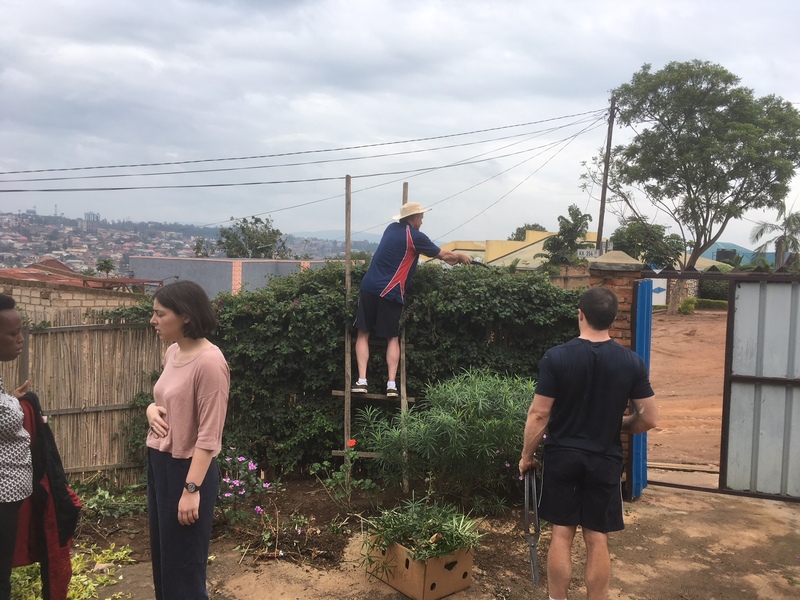 Our Umuganda started by taking cleaning and decorating equipment to a small HIV/AIDS orphanage not 500 yards from our apartments. ‘Discovered’ by Lee and Lamber last weekend, APECO is run down and in need of a refresh. Unfortunately, due to our timetable we had to postpone our refresh until the following day but it is clear that this won’t be a one-off visit. 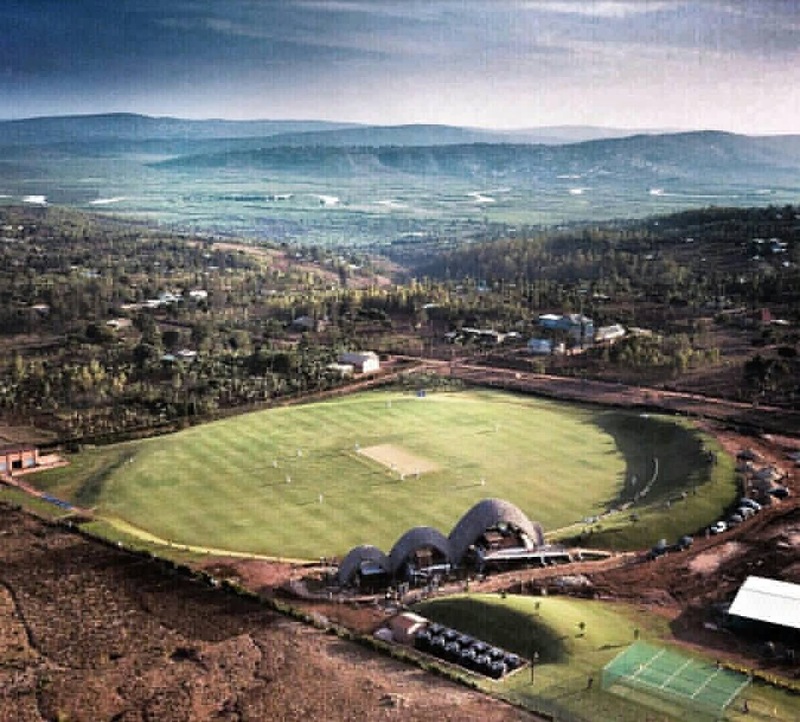 As the opening act at the opening ceremony of the new National Cricket Stadium in Gahanga, we set off at 9am to ensure arrival through the thick Kigali traffic by ten. We arrived at 9:15! No traffic?Umuganda for one meant that traffic was light but as the President was also expected the army and police had effectively closed all roads to all traffic bar that heading for the stadium. The team were simply awesome. Not only did we run a typical CWB session on an atypical surface we also led 50-plus children in a dance off around the ground for at least an hour while heavy rain delayed proceedings! After two weeks on the road this team have spent the last two days dragging energy from the depths of their bodies to deliver and complete sessions. The energy and application on this rain sodden morning, no doubt enhanced by the words we heard at the orphanage earlier in the day, made this Project Lead very proud to be a part of all that CWB offers to both Rwandan children and our own volunteers. 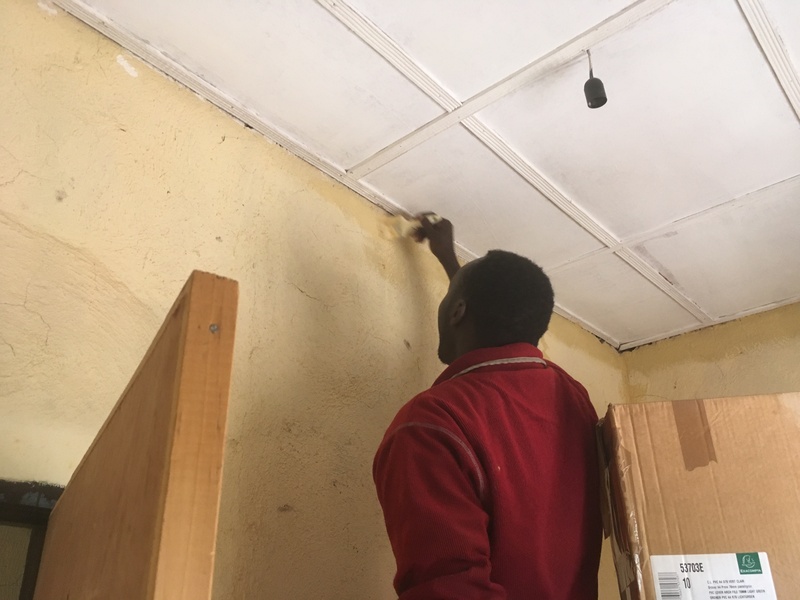 Following the festivities of the previous day the CWB team returned to APECO, as promised for several highly enjoyable hours painting, gardening and doing odd jobs, under the direction of the kids. The highlight was one CWB team member who took it on them selves to sweep the soil in the garden! Well, you know how mucky soil can get. Sunday afternoon we went to a local school who’d had their first encounter with CWB and cricket just 3 years ago, and now fielded a strong team in a straight 10:10 match versus a CWB side. The match went to the last ball and was won by CWB with a smartly taken leg-bye. 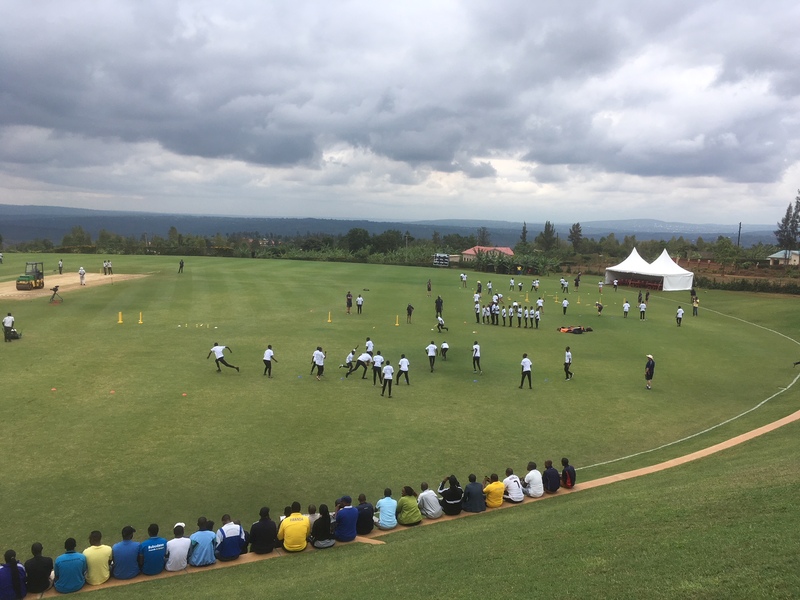 The school featured five excellent bowlers, two of them women, and a flamboyant wicket-keeper batsmen who will be pushing the likes of Johnny Bairstow before long. At the end of the day it was experience with the bat that made the difference, but next year we’ll need a stronger side if we’re to win again. It was brilliant to have this match at the end of our coaching tour because it is a good proof of concept of the CWB model, and a tremendous testament to Tall Eric – the coach/ambassador paid for by CWB who followed up that first visit in 2014 with regular training sessions. Needless to say, the players knew their ABC(T) by heart: Abstain, Be Faithful, always use a Condom, get Tested and know your status, so you can get Treatment if needed.